What Disc and Pads Suits Me? 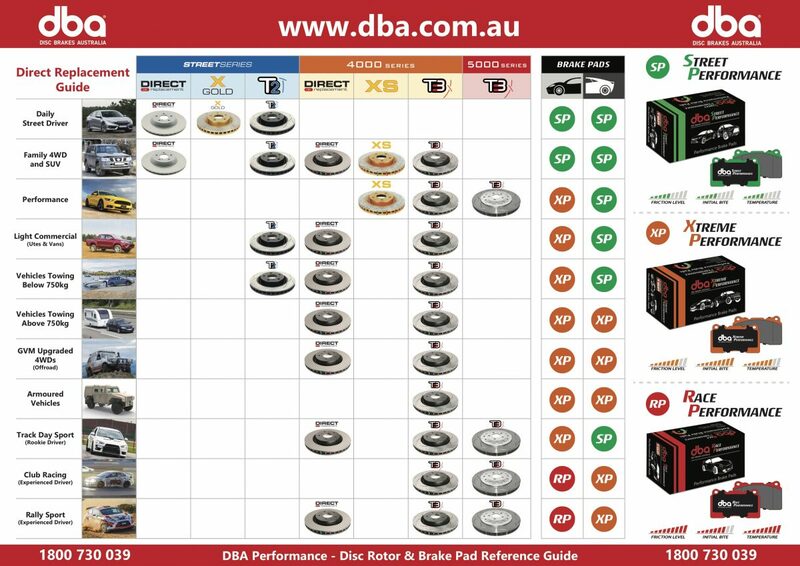 DBA has designed an easy quick reference guide to assist drivers in understanding the ideal DBA disc rotor and Performance Brake Pad combination for their driving application. First match your driving application on the left, then follow the chart across to see the recommended DBA disc rotors and front and rear Performance Brake Pads that have been selected to meet your requirements.